American Standard whirlpools, air baths and combo massage systems offer massage therapy options to satisfy any need, whether it's renewing aching muscles or soothing away the tensions of a hectic day. American Standard whirlpools come equipped with powerful factory-installed and tested motors. Renovate with style to create your dream bathroom with the new MAAX freestanding Sax bathtub. This new trendy bathtub features a modern asymmetrical apron creating a bathroom masterpiece. This unique size bathtub offers maximum bathing space, high backrest for your comfort and versatility for deck mounted faucet installation for a compact clean look. 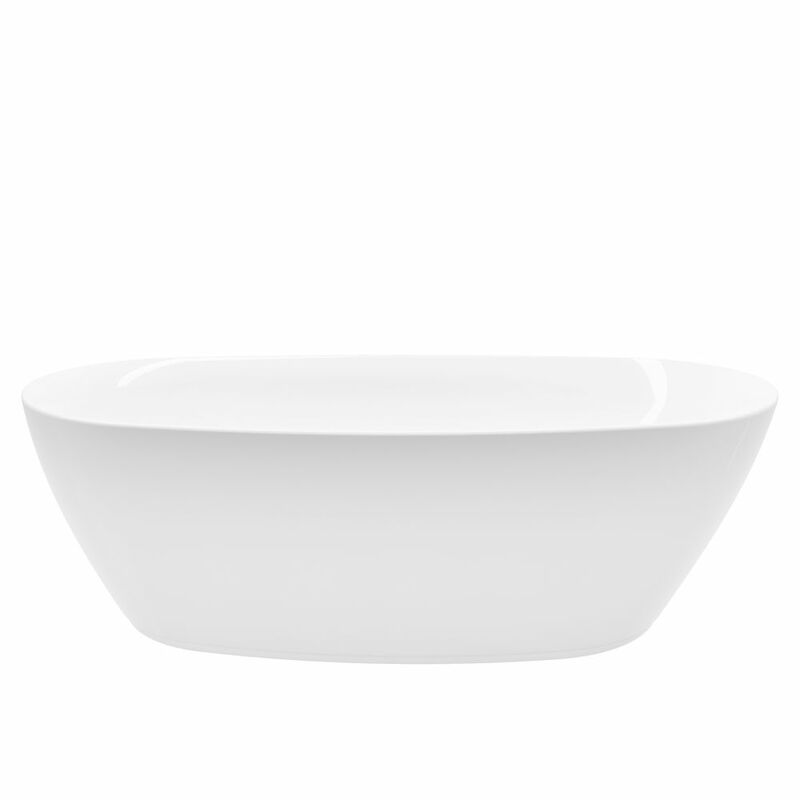 Columbus 71 inch Acrylic Freestanding Flatbottom Non-Whirlpool Bathtub in White No faucet The bathtub is the centerpiece of your bathroom, and this freestanding tub with its contemporary, seamless design is guaranteed to make a statement. Its elevated aesthetic is paired with modern convenience: the pure white acrylic construction is easy to clean and cUPC certified. Overflow drain is included.